This happens more often than you’d like. So how can teams keep track of all these small tasks? But in the meantime, the answer is to stick to assigning tasks through Slack, or bouncing into a project management app like Trello and Wrike. In this post I’ll compare the most efficient ways currently on the market to assign quick tasks through Slack. It’s time to end the elusive lost task! If you’re running a team that needs all the features that Asana has to offer, switching to using Asana as your project management solution just might be your best bet. Asana has teamed up with Slack to offer teams’ the option to right click on any message and click “create task” to automatically create or update a to-do in Asana. It’s highly convenient, super quick to do, and only takes a few clicks to assign a task. The downside is that your team will be locked into the Asana ecosystem, if Asana isn’t a good fit for you, there’s no good way around that. So what if you’re a team that wants something a little bit simpler? Don’t want to commit to keeping up with a full fledged project management solution? 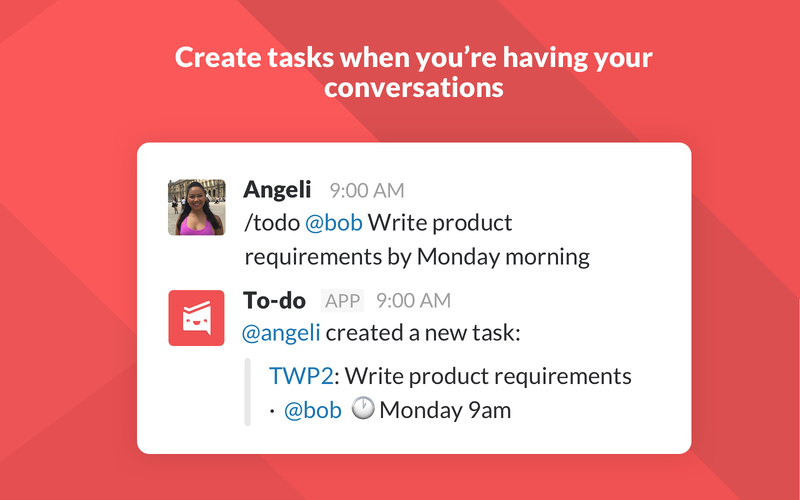 Using a to-do list app like To-do by Workast might be your best bet. Unfortunately the experience of assigning tasks isn’t as smooth as Asana’s integration, and by default all your tasks will be loaded into Workast’s ecosystem, not your usual project or task management tools. A workaround for this is to use Workast’s zapier integration to add a card to Trello, Wrike or any other project management solution you’re using. But what if you don’t want to deal with adding new apps? 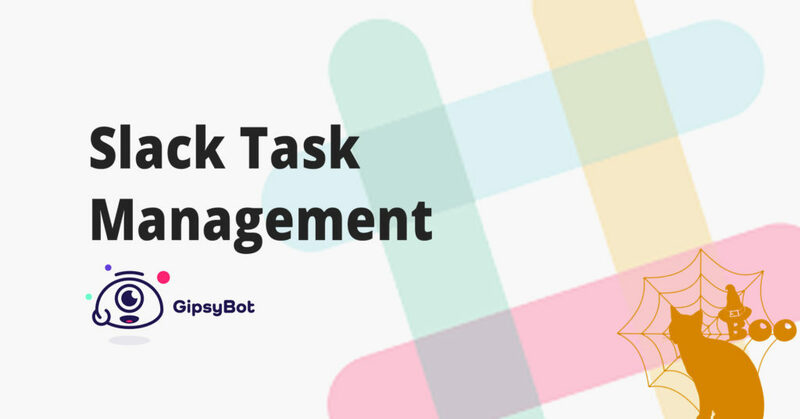 Fortunately Slack has plenty of features which can be hacked to assign tasks. Share the post in the channel so that others can see and edit the list. If the checklist is just for you, you can keep it private. But pinned messages and files can also be used to keep track of tasks that need to be done. Keeping a simple channel as your source of to-do truth is another option. Invite anyone who needs to add items, make requests or work on the to-do list. If it starts getting too noisy you can always create more to-do channels for individual teams or projects. 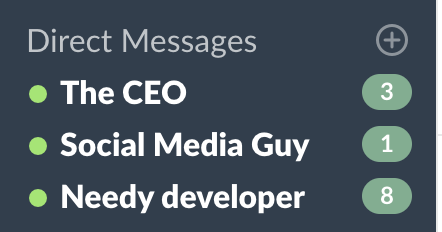 Another way to create a to-do list is to star the important messages and files in your Slack. If you ever want to review all the things you’ve starred, just click the star in the top right corner of your Slack window. Whenever you’ve completed a task, you can remove the star when you’re done. And there you have it. While there’s no perfect way for everyone to handle to-do’s within Slack, there’s good tools out there to make it a little simpler.